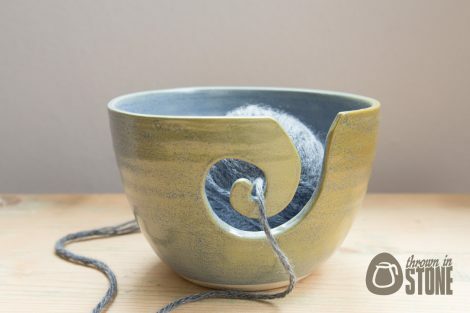 This yarn bowl was hand thrown on my potters wheel using strong stoneware clay. 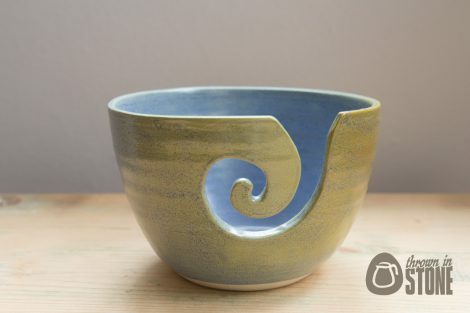 A spiral to thread your wool through was carved out before the bowl dried. 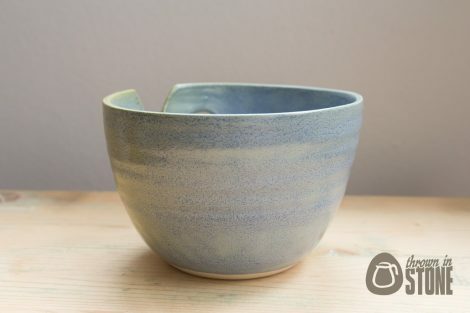 Glazed in this gorgeous speckled frosty blue satin reactive glaze. 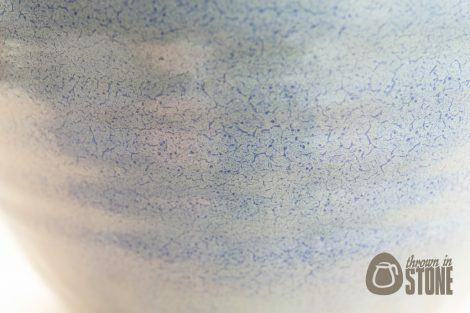 This glaze reacts differently to heat depending on where it was positioned in the kiln, turning slightly more green where the piece is in direct line of sight to the elements. 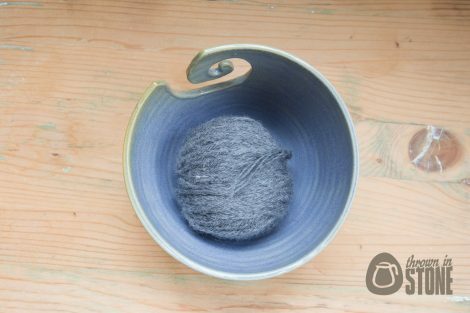 A yarn bowl stops your wool from rolling over the floor as you knit. 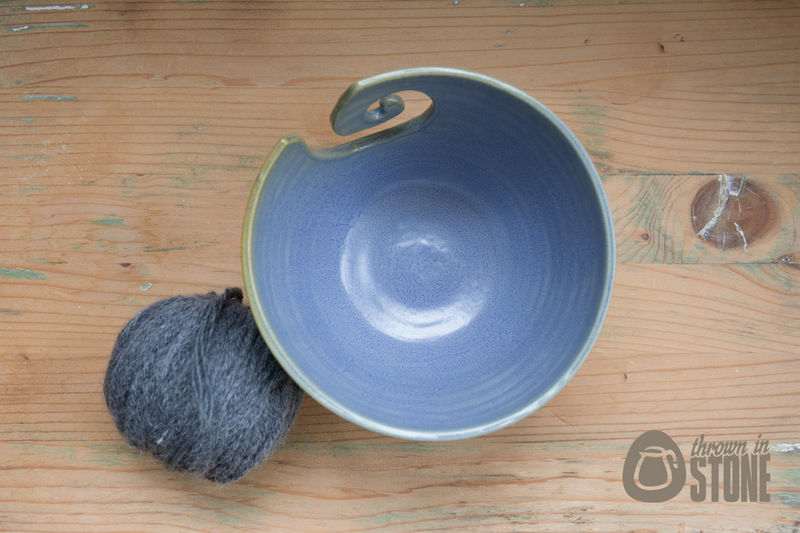 Yarn bowls make perfect gifts for knitters and crocheters. No two bowls will ever be exactly the same. The pictured item is the one you will receive. The ball of wool pictured is a 50g ball of double knit (not included), there is ample extra room for larger balls of wool. All of my handmade ceramics will be well packaged prior to shipping, I’d hate for anything to get damaged in the mail. Happy to combine shipping, post worldwide and all of my items are made and ready for immediate dispatch.